In East Europe, most probably in Austria, my friends and I were once serenaded with songs just as we were having red wine after a hearty dinner. There was a song from Julie Andrews's Sound of Music and then, just when we least expected it, the familiar tune of 月亮代表我的心 The Moon Represents My Heart filled the room. 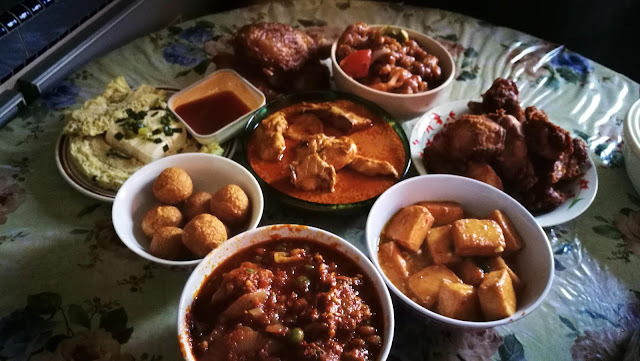 It was the late Teresa Teng Li-yun's 鄧麗筠signature song and delighted, almost everyone in our table burst out singing with the music. Teresa must have gone for many years now; she passed away in1995 at age 42 in Chiengmai, Thailand; but her memory remains. In Japan, she reportedly was brought back to perform in a variety show using 5 D technology. In 2013, it was with Jay Chou 周杰伦 whom her 3D virtual hologram shared the stage. Amazing, isn't it? Minions are yellow mostly, I come to believe; and there are so many of them too! They do indeed remind me of Chinese who are spread all over the world and as you know, the latter are also deemed yellow by I don't know which smart aleck. 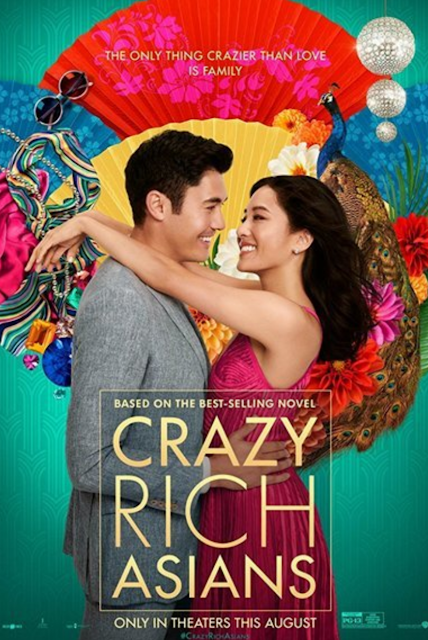 There are very fair Chinese like American Chinese actress Chrystal Liu Yi Fei 刘亦菲 as well as dark Chinese like Hong Kong's Simon Yam Tat-wah 任達華 but they are neither considered white nor black. I remember in an old Hong Kong movie, Hong Kong, Hong Kong, 80s star, Cherie Chung Chor-hung 鍾楚紅; wondered why the non-Chinese unlike the Chinese, are either born too dark like they are overbaked or too fair like undercooked; which probably give the impression that the Chinese have just the right skin colour. Quite a racist remark, don't you think? 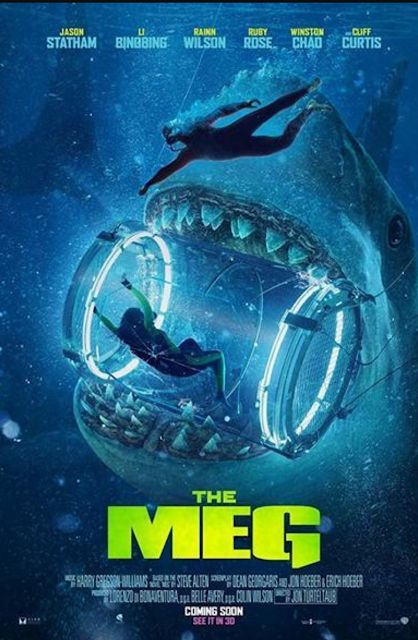 After watching the megalodon shark creating havoc in the the Pacific Ocean in Jason Statham's latest flick, The Meg, I suddenly realize there are many Bing Bings in the Chinese entertainment industry. First, there is China's Fan Bingbing 范冰冰 who appeared in the 2014 Hollywood superhero blockbuster X-Men: Days of Future Past and then there is Taiwan's Bai Bing-Bing 白冰冰, who iwhile may be unknown to the western world, is nevertheless a big name in the Chinese entertainment scene. Now, of course, there is The Meg's Li Bing Bing 李冰冰 who had in2008 already been introduced to international audience via Chinese-American fantasy kung fu wuxia film, The Forbidden Kingdom and later, via Resident Evil: Retribution and Transformers: Age of Extinction in 2012 and 2014 respectively. 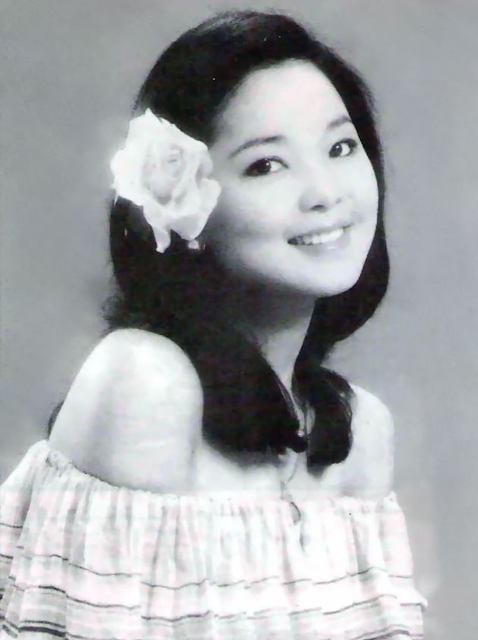 Then of course, there is the former child star from 1983 Taiwan's popular TV series, Heaven knows my heart 星星知我心, Xiao Bin Bin which is another bin story altogether. Sedan chairs used to be a common way of transport in ancient China. There were sedan chairs for flat lands and sedan chairs to go up mountains, sedan chairs made of bamboo or wood and sedan chairs for civilians, officials and weddings called mín jiào 民轿, guān jiào 官轿and hūn jiào 婚轿. 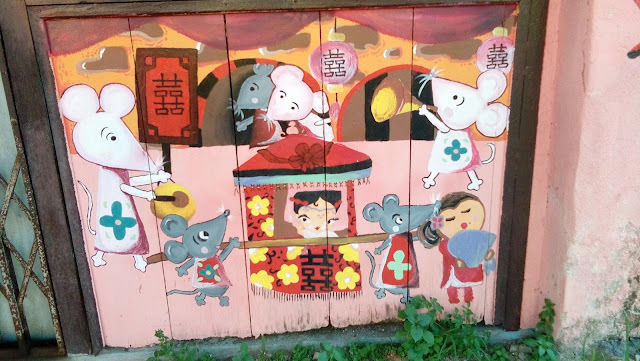 In a little town near Simpang Empat, Penang, I chanced upon this cute picture on a wall. Now, is this mín jiào 民轿, guān jiào 官轿 or hūn jiào 婚轿? No prize for guessing! There was a scene in Rodgers and Hammerstein musical The Sound of Music which I like, featuring puppets and a catchy song sung by Julie Andrew, The Lonely Goatherd. It's not the yodeling but the puppets that I like. 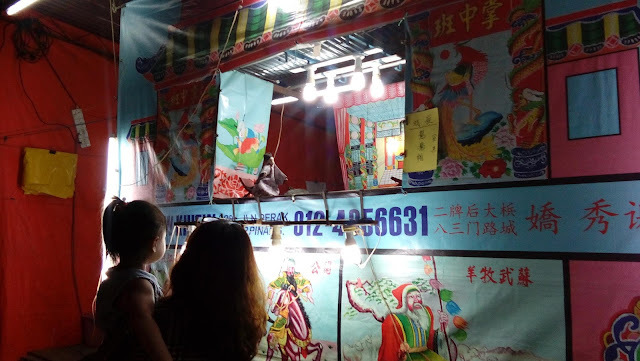 The Chinese puppet theaters offer similar marionettes on strings besides three other forms - rod puppets, shadow plays, and hand manipulated glove-type puppets. I suppose come this year's festival of the hungry ghosts, a puppet show will come to town - the hand manipulated glove-type puppets.